Aston Villa and Bristol City prepare to do battle at Villa Park on Saturday afternoon with both teams keen to consolidate their respective positions in the play-off pack in the Championship by taking all three points in this clash. Starting with Aston Villa, and the hosts have hit a purple patch of form at just the right time in the season as Dean Smith’s charges have recorded seven wins on the trot overall in the second tier with wins against Derby County, Birmingham City, Nottingham Forest, Middlesbrough, Blackburn Rovers, Sheffield Wednesday and Rotherham United. At Villa Park, the hosts have won their last three matches on the bounce and have suffered just one defeat out of their last eight matches in their own backyard, which was a 2-0 loss to west midlands rivals, West Brom back in mid-February. Goals have been the feature at Villa Park this season too, and given the hosts possess the likes of midfielders McGinn and Hourihane (6 goals apiece) along with forwards Abraham (23 goals) and Kodjia (7 goals), it may not be a surprise to learn that 14 of Aston Villa’s 20 home matches have seen both teams score. Bristol City may also have returned to form at just the right moment as the Championship season starts its final straight as The Robins are unbeaten in their last five league matches as the visitors have re-ignited their push for a play-off spot. At one stage, it looked like Lee Johnson’s men had blown their chances of a top six finish after a run of four matches without a win during February and mid-March which included three defeats to Norwich City, Birmingham City and Leeds United respectively along with earning a point in a draw away at Preston North End. Bristol City have since bounced back though with wins over 3rd placed Sheffield United, 7th placed Middlesbrough and a recent midweek win against 4th placed West Brom, so the visitors need to be respected here. This recent encouraging return to form has helped lift the west country outfit back into 6th place where they trail their hosts, Aston Villa, by just one league position and one point ahead of this important encounter in the west midlands on Saturday afternoon. Forwards Diedhiou (11 goals) and Weimann (10 goals) should ensure that the visitors trouble the scorers here. With both teams in good form, the both teams to score market looks the best option here. 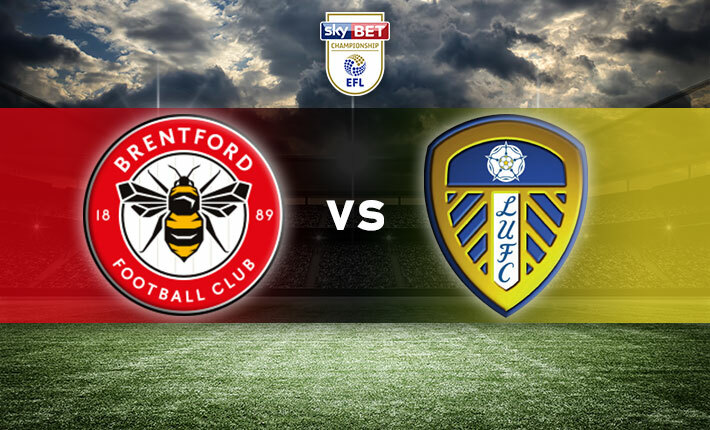 Brentford gained a point in a 1-1 draw in their recent all-London affair away at relegation threatened Millwall, but this means that Brentford have managed to win just one of their last eight matches overall in the Championship.